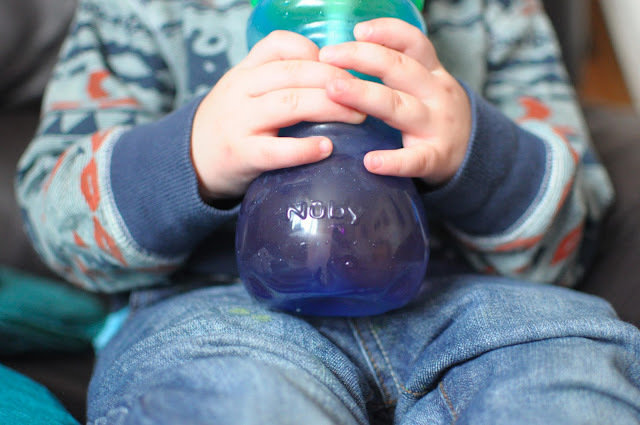 So about 4 months ago Nuby were kind enough to send us some products to test and review. Some of them were bath toys which we had a blast with straight away but other things I thought I should leave and post after we had properly lived with them. One of these things was a Nuby Flip It Beaker. We have probably used it at least 50 times and the quality is still the same even after a few drops, spills and tantrum throwing! There has been no leaks but I'm careful to make sure that the lid is threaded on right as I can see it could be easy to leak everywhere if it isn't secure. The colour of it is fantastic and the fact that it is clear means that I'm not shaking it about to work out how much is left - what mum isn't guilty of this. 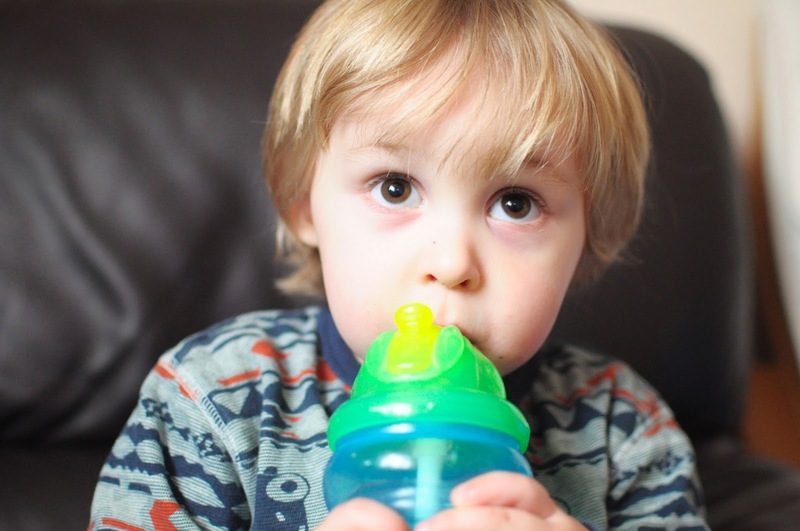 The only problem is that if Max has greasy or wet hands then the bottle can become quite slippery. That probably means I should wipe his hands more often but it's something that we have noted when eating out. Overall though this is one of the best cups we have come across. And believe me, we have been through many! The highlights being the simple cleaning system that even dad's can put back together and the clear design that means you know when they are running out of juice. I've just bought a Nuby for my IQ, she's only 8months but got the hang of it pretty quickly, you're so lucky to be able to test them out!